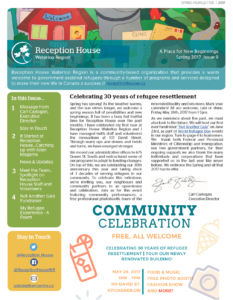 Our Spring 2017 newsletter is out. Read all about our upcoming events and future engagement opportunities. Have something to share for our next issue? Contact marika@kwrcentre.ca.